Outside of yoga, I spend my days as an elementary school teacher. Russell Elementary School in Dorchester is part of Boston Public Schools, and as you might imagine, there isn't much of a budget for employee wellness. That's where the Sunshine Fund comes in. My colleague Mary and I head up the school's "Sunshine Fund", which for years has been a financial fund into which each employee contributes for things such as birthday celebrations, baby showers, wedding gifts, get well gifts, employee appreciation days, etc. Mary and I have chaired this fund for the past three years, and this year we wanted to bring more employee wellness into the workplace. So, the idea for a "Healthy Around the Holidays" event was born. 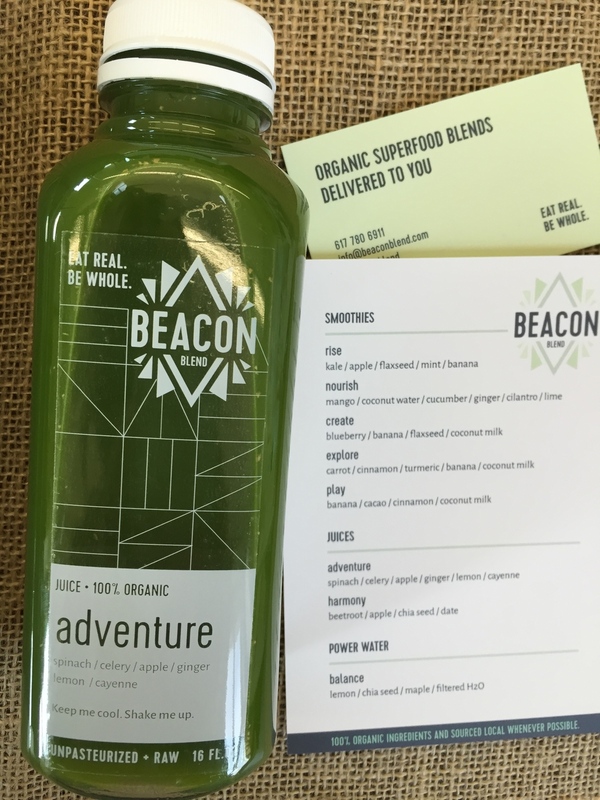 Just before Thanksgiving 2015, we partnered with local business Beacon Blend to bring 100% organic smoothies to staff members during their lunch break. Mary and I with Beacon Blend's beautiful display in our teachers' lounge. 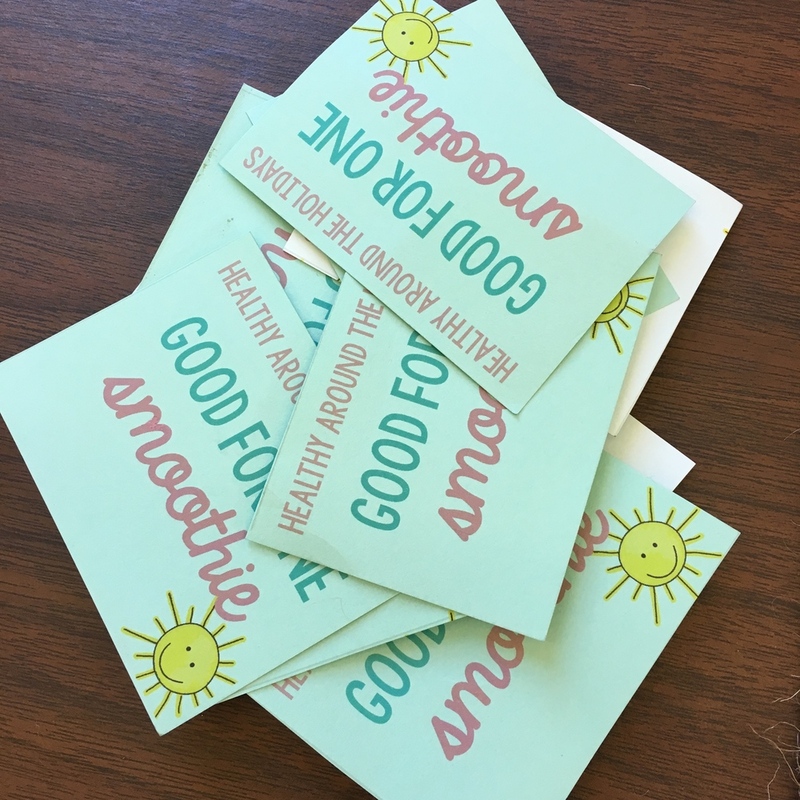 In addition to smoothies, I created homemade paleo pumpkin spice and chocolate coconut "energy balls," and attached recipe cards for both flavors so that staff members could recreate the healthy treat at home. Finally, I gave staff printed information on how to stay healthy around the holidays with food, exercise, and mindfulness tips. Beacon Blend's owner and founder, Danielle Perretty, even allowed a couple of our students to interview her for a project where they study businesses that help people in the community stay healthy. So wonderful! Outside of this event, another way I try to impact our school's environment is by offering weekly yoga classes and free introductory meditation classes to all staff. Just trying to spread yoga and wellness in any way I can!